Website not only represents your corporate online image but also is the important platform for your business activities, customer services, ecommerce and emarketing. It is vital to periodically review your site to ensure that it is still up-to-date and can achieve your business goals. 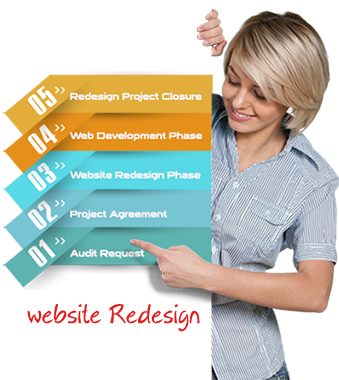 Since some business people are not very familiar with the website redesign and its production process, we list the typical website redesign process to show how to launch a redesign and its work flow from start to finish for your ease of reference. If you would like to learn more about what services our website redesign solution provider offers, please fill out the audit request.